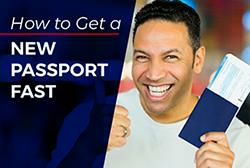 The fastest way to get a passport is to expedite the application. There are, however, different ways to get US passports expedited. The method you use could be the difference between getting your passport the same day or having to wait up to 3 weeks for it to arrive. 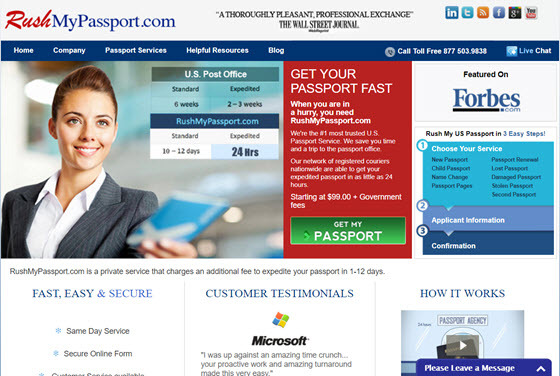 This page is the starting point for all the information you need about expedited passport service. 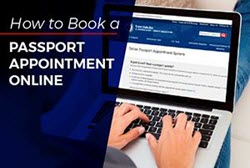 The links below will take you to information about registered passport couriers, expediting tips and step-by-step instructions for expediting each type of passport service. In a hurry? Visit our most recommended service for passport expediting in 24 to 48 hours. The how, when and where of getting a passport expedited in 24 hours. Description of the fastest ways to get a new passport expedited. 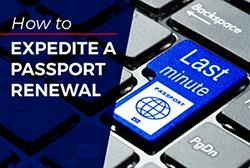 How to get a passport renewed as quickly as the same day. Requesting express service at post offices that serve as application acceptance facilities. Where processing centers are located. How to schedule an appointment. What documents to take with you. How to pick a legitimate courier service to assit in getting your passport quickly. List of expediters registered with the U.S. Department of State. Tips for faster processing of American passport applications. What are the advantages of employing the services a qualified expediter? Tips to help applicants avoid mistakes that could lead to prolonging the application process. Answers to the most frequently asked questions about getting a passport fast. Instructions and authorization letter to apply through any passport expeditors or third party. 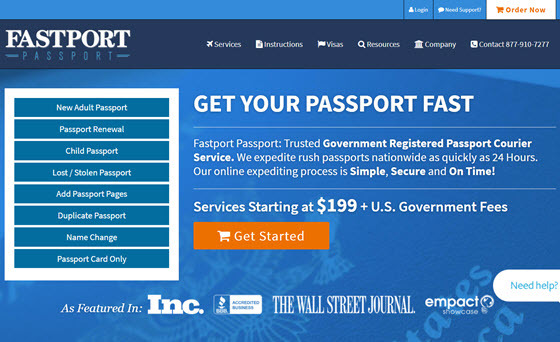 Fastport Passport is an expediting service that assists individuals and corporate clients nationwide to get their United States passports swiftly. They have been in operation since 2003 with processing locations in both New York and Delray Beach, FL and representatives in several other major ciites. Besides expedited passport processing, Fastport Passport expedites visas to top destinations such as Australia, Brazil, China, India, Russia and many others. Rush My Passport has many years of experience expediting same day passports and rush travel visas for American citizens. 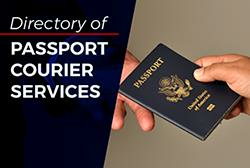 They offer quick, quality service for all of your passport processing needs. They can even pick up emergency passport applications and return processed passports by commercial airlines if required. Select the type of service you need from the list below in order to get your passport as fast as the same day with the assistance of an experienced courier.